•	Ingredients-The ingredients used in a product should always be carefully checked. They are normally indicated on the product labels for example if a product contains alcohol which is commonly found in some hair products, you should avoid it as it leads to hair dryness. Additionally there could be some specific ingredients you may be allergic to which may end up having harmful effects on your scalp. So remember to check ingredients used so as to be on the safe side. •	Price- You should always be on the lookout for great and affordable products within your budget range .Prices vary depending on factors such as ingredients used, brand, and the packaging e.tc.Try to take advantage of all the offers available. Be wary of offers that sound too good as this may be an indication of low quality or unsafe products. •	Your Hair’s Health- It is vital to understand the state of your hair because hair that is damaged has different needs from healthy hair. 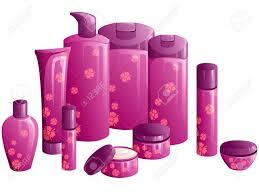 Ensure that you get advice from your hair stylist on the products that would be most suitable for your hair.